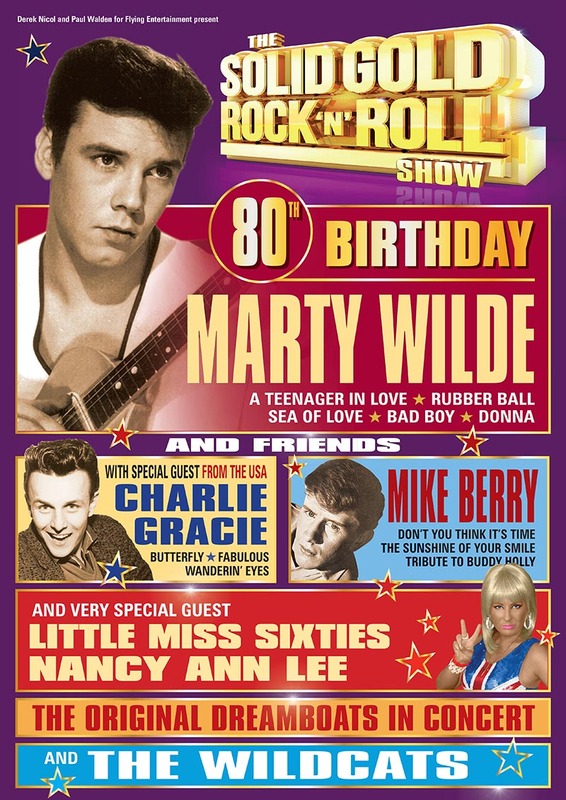 Join us in celebrating Marty Wilde’s 80th birthday, together with Charlie Gracie, Mike Berry, and The Wildcats, as well as very special guest Little Miss Sixties, Nancy Ann Lee as they join forces in The Solid Gold Rock n Roll Show. The late fifties and early sixties were without doubt some of the most exciting and important years in the history of music. With the arrival of rock n’ roll, a whole new pop culture was born. Performing their own hits and collaborating live on stage, Marty, Charlie and Mike, teen idols of their day, show us how rock n’ roll with its fusion of sound and rhythm shaped the style of music that we listened to then and still do today.